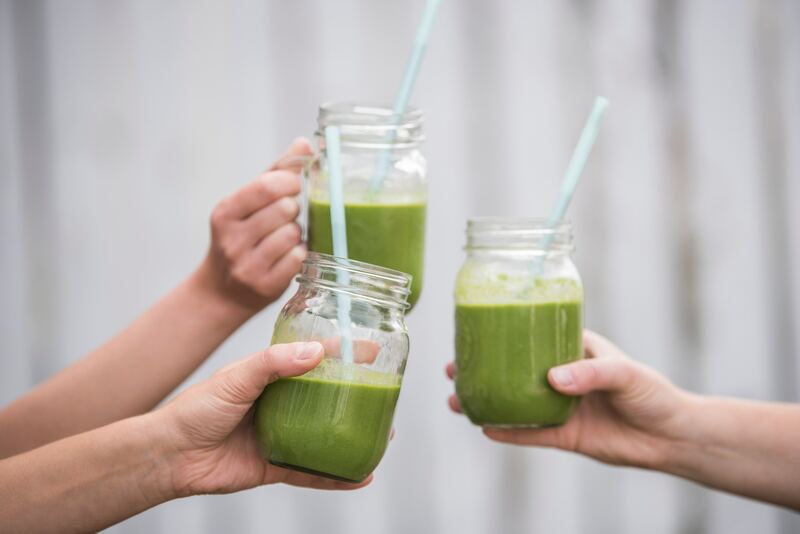 The two words spicy and smoothie aren’t typically in the same sentence as one another but we aren’t talking spicy like jalapeño, although I am sure there are some people that would love a jalapeño spiced green smoothie. With these spicy smoothies, we are talking about spices like turmeric, cayenne, ginger and cinnamon. These three spices are full of antioxidants and other compounds that support the liver, skin and immune system. Plus, a little heat can help boost your metabolism too! A little boost in the metabolism is always helpful in the winter time when we can find ourselves not as active due to the weather and cold temperatures–hello hibernation.